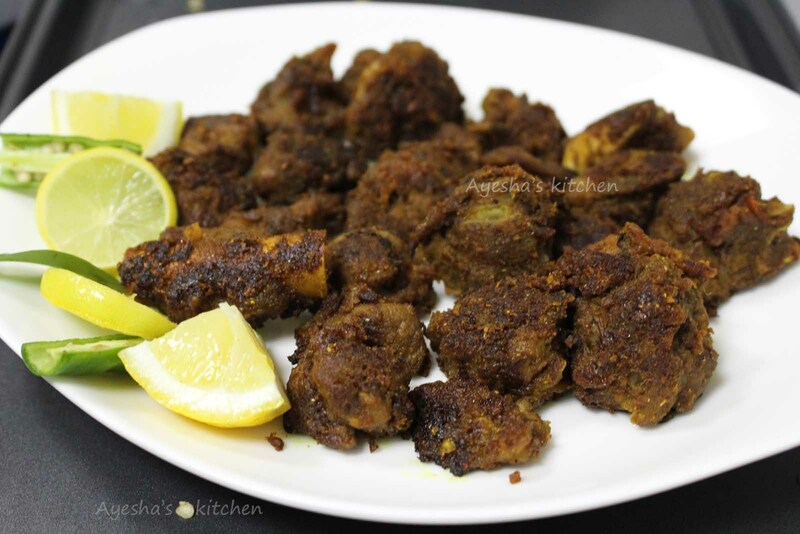 Mutton fry is a tasty finger licking good mutton recipe. The pressure cooked tender mutton pieces are roasted or fried in coconut oil along with spice powders until the gravy is well coated on mutton completely. This dry fry mutton recipe is delicious to side along with rice or dosa . 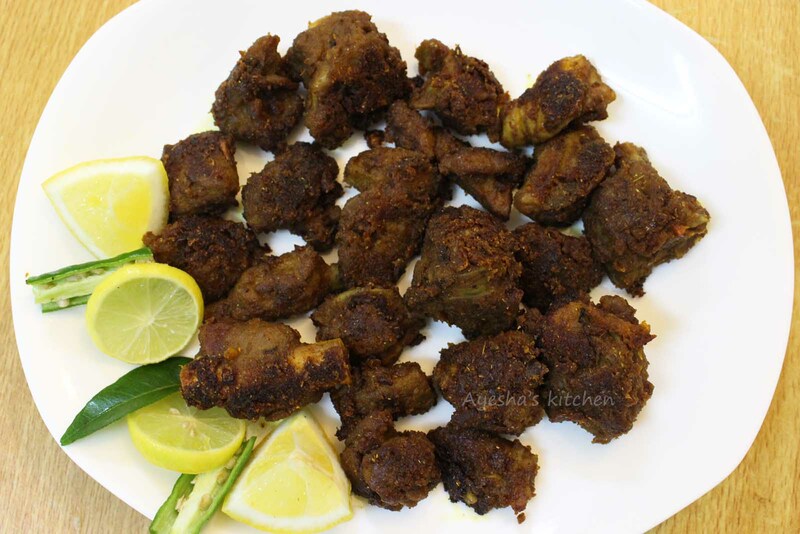 Though you can make mutton fry recipes in different style or in many variations, i recommend this recipe for you as it is my favorite mutton recipe for weekend lunch meal. I love this mutton fry to pair with steamed rice and spicy curd curry along with a lemon pickle . Wow! It's a drooling combination. Some prefer pepper powder while some prefer chili powder in mutton recipes. So add these spice powders as per your preference to heat. I added a small portion of both pepper powder and chili powder as am a mildly spice lover. So hope you all give this tasty mutton recipe a try. Heat a pressure cooker with some oil. Saute onion until light. Then add green chilies and ginger garlic paste. Saute for a while. When done, add cleaned mutton pieces along with garam masala powder and coriander powder. Add salt. Combine well. Pressure cook for 3 whistles without adding water (depends on tenderness of meat ). Set aside. Now heat a non stick pan with 2 tsp of coconut oil. Fry the chopped shallots until golden. To this, add the cooked mutton along with its water. Fry for few minutes. When it becomes dry, add turmeric powder, chili powder, coriander powder. Mix well. (it will become completely dry). To this, add half a cup of water and sliced tomato. Stir well for few minutes. Let it cook well again until it becomes dry. Stir occasionally. Check for salt. When the mutton is done, add pepper powder and mix well. Fry until all the gravy is well coated on the mutton.